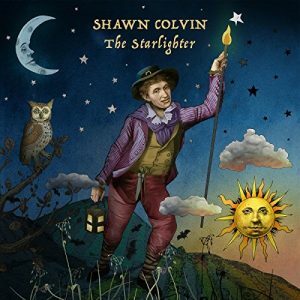 Twenty years after the release of her first kids album, Holiday Songs and Lullabies, GRAMMY-winning adult artist Shawn Colvin returns to children’s music with her new album The Starlighter. As she did in 1998, Colvin once again looked to the 1965 children’s songbook, Lullabies and Night Songs for inspiration. 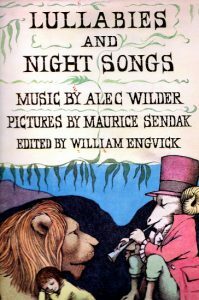 Filled with 48 poems by authors such as Lewis Carroll and Robert Louis Stevenson, set to music arranged by Alec Wilder, and illustrated by Maurice Sendak, this book is solid source material for young listeners. Newly adapted by Colvin, the tracks on this Amazon Original album have a soothing, peaceful air to them. While the 14 songs in this collection are more non-traditional lullabies that lack the warm fuzzy quality of many contemporary lullabies, some of the songs such as “Sleep Baby Sleep,” “Go Tell Aunt Rhody” and “Hush, Little Baby” will be familiar to many adults. All of the songs feature lush arrangements that support Colvin’s lovely solo voice making them a nice addition to playlists for winding down at the end of the day. The first video from the album is for the title track, “The Starlighter.” The video is based on Victorian paper theatres with each scene containing over one hundred layered illustrations, making it a true work of art. Enjoy!